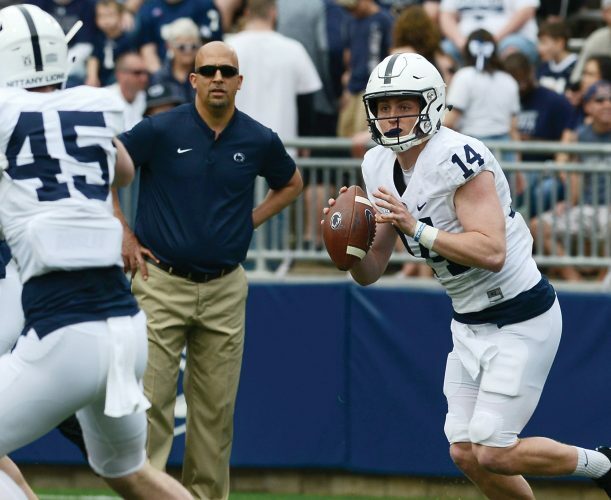 Radio: ESPN Radio 1430 WVAM, pregame show at 2 p.m.
Penn State fans probably can expect to see a lot of Sean Clifford in today’s Blue-White Game as the quarterback tries to strengthen his hold on the third-string job behind Trace McSorley and Tommy Stevens. The spring scrimmage will pit the first-teamers (Blue) against the second-teamers (White), as usual during coach James Franklin’s tenure. McSorley is on the Blue team, and so is Clifford, which could mean that McSorley might not see much time playing today. Comedian and Franklin impersonator Keegan-Michael Key, a Penn State alum, will be a guest coach for today’s game. No one knows exactly what role the comedian will have, but it wouldn’t be a surprise to see his Franklin impersonation at some point. 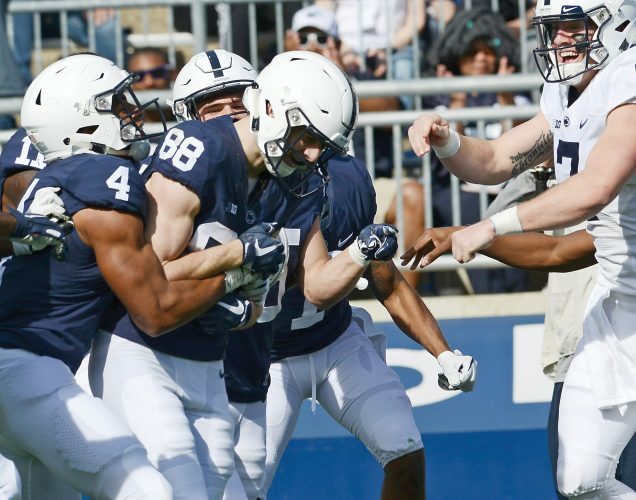 Tight ends Mike Gesicki and Adam Breneman were scheduled to be in Altoona on Friday as part of a campaign stop for Dr. John Joyce, a republican candidate running for office in the state’s 13th congressional district. Breneman is working for Joyce’s campaign after retiring from football following a collegiate career at PSU and UMass. Gesicki is preparing for the upcoming NFL draft.